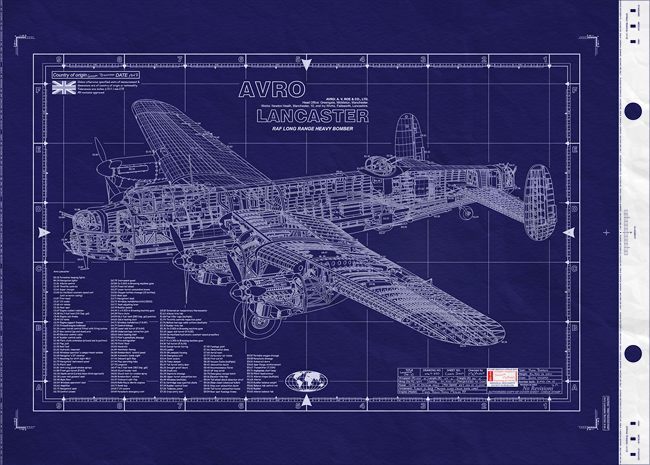 Avro, was one of the most famous of all British aircraft manufacturers. 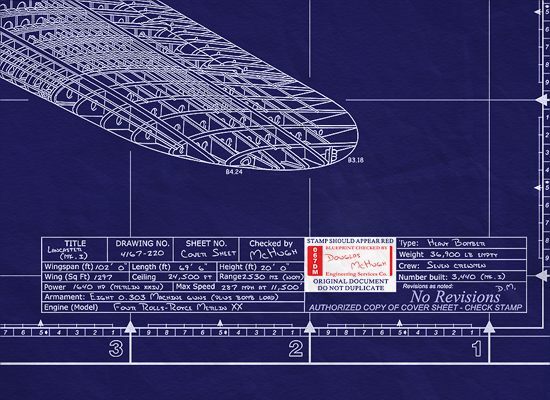 — the companies continued to produce their own aircraft designs under their own name as well as sharing manufacturing work throughout the group. 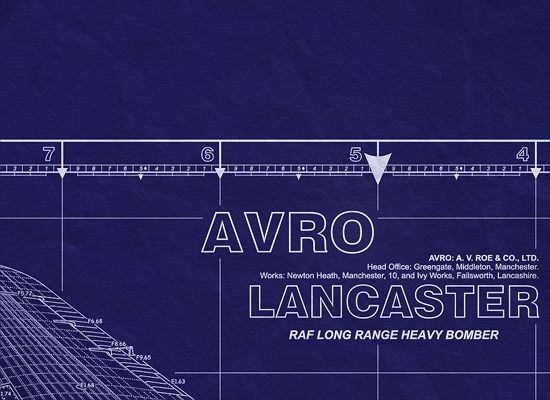 The Avro Lancaster was a particularly famous Avro design. Over 7,000 Lancasters were built and their bombing capabilities led to their use in the famous Dam Busters raid. — demonstrated superbly its right to fame with the daring and precise raids on the Ruhr dams in May 1943, and also the sinking of the German battleship Tirpitz in November 1944. The Avro Lancaster bomber shares first place with the Boeing B-17 as the best-known heavy bomber of WWII. Continued from above… Two. The Avro Lancaster is regarded by many as the best bomber of either side in the Second World War. The system proved quite capable from the outset and was put into production the same year that the prototype had flown. From then on, the aircraft would see action as the principle heavy bomber of the United Kingdom, becoming responsible for well over 150,000 bombing sorties against the Third Reich. Like many successful aircraft the Lancaster not only looked good but its flying characteristics matched its appearance. It is all the more ironic therefore that the birth of Avro's mighty machine owed so much to failure, the failure of its immediate predecessor, the twin engine Avro Manchester. The Avro 683 evolved almost accidentally as a result of recurrent failure of the insufficiently developed Rolls Royce Vulture engines installed in the Manchester. 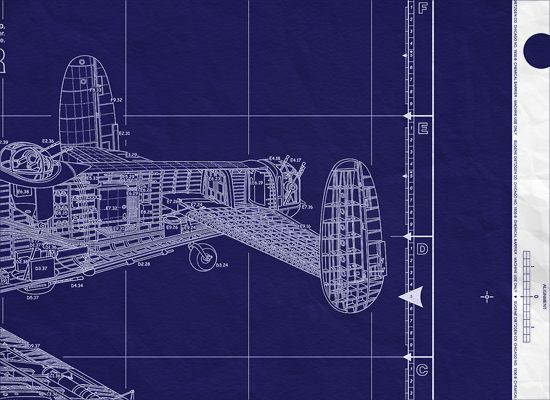 The industrial and military organization needed to build and operate the Lancaster was huge. Six major companies built 7377 aircraft at ten factories on two continents; at the height of production over 1,100,000 men and women were employed working for over 920 companies. More service personnel were involved in flying and maintaining it than any other British aircraft in history. The Lancaster flew for the first time on January 9,1941 as a four-engined development of the Avro Manchester designed by Roy Chadwick and his team of draughtsmen. The RAF began to equip with Mk Is in early 1942 and used them first on March 10th against targets in Essen. Altogether, more than 7,300 Lancasters were produced in Britain as Mks I to VII and Canada as Mk Xs built by Victory, and they dropped more than 608,000 tons of bombs on 156,000 wartime missions. The Lancaster's operational career is littered with impressive statistics, but it is worth remembering that the average age of the seven-man crew was only 22 years. They endured danger and discomfort and many showed great courage in continuing to fly knowing the odds against survival were high. Bomber Command suffered the highest casualty rate of any branch of the British services in the Second World War,every week in the 'Flight' and 'Aeroplane' magazines there were lists of people lost whilst flying with Bomber Command. The 'Tallboy' or 'earthquake' bomb was designed for use against heavily fortified targets such as U-boat pens and underground factories. Invented by Barnes Wallis, it was a heavy-walled 12,000 pounder, 21 ft long, containing 43% explosive. Dropped from at least 8,000 feet, this deep penetration bomb literally shook the ground to pieces. Although conceived early in the war, Barnes Wallis' invention was not used until June 1944 when a number were dropped on a railway tunnel in France to delay the movement of Panzer forces towards the invasion beaches. One of the bombs fell directly over the tunnel and bored down through seventy feet of solid rock to the rail level itself. When it exploded it brought down thousands of tons of earth which effectively sealed off the tunnel. Tallboys were a specialty of No 617 Squadron RAF and were dropped from specially converted Lancasters. The Tallboy offensive (1944-45), during which 854 were dropped on Germany and occupied territory, decimated the U-boat bases and it was these bombs that finally destroyed the German battleship Tirpitz. In March 1945 617 Squadron was expanded to take on an even bigger bomb called 'Grand Slam', which was used on similar targets including the V rocket sites. This was another heavy-walled 'earthquake' bomb again invented by Barnes Wallis; it weighed 22,000 lbs, length was 25 ft 5 ins and it contained 43% explosive. The first Grand Slam was dropped on a railway viaduct at Bielefeld that had so far survived the war unscathed. It missed the target by several yards, but caused such a subterranean upheaval that seven arches of the viaduct collapsed. A few days later a similar bridge nearby was bombed in the same way, and this time there was no sign of it after the raid. The last attack using 'earthquake' bombs was reported to have been against Hitler's country house in Bavaria. The Lancasters usually ran in over the objective with the Grand Slams at about 12,000 feet. In heavy cloud 'sky-marking' by the Pathfinders using colored flares aided precision bombing. In all 41 Grand Slams had been dropped on enemy targets by the time hostilities ceased in May 1945. Although it is tempting to see the 22,000 lb 'Grand Slam' bomb as the logical development of the 12,000 lb 'Tallboy' which preceded it into service, the 'Grand Slam', the largest bomb ever used operationally, was in fact mooted before design of the 'Tallboy' began. At the time, though, no worthwhile targets lay within the range of. an Avro Lancaster carrying the larger bomb, and the idea was shelved. The occupation of France in the summer and autumn of 1944 altered the position, and so development of the bomb went ahead quickly. Only the Lancaster with a modified bomb-bay and its nose and dorsal turrets removed could carry the 'Grand Slam', which was designed to be dropped from high altitude. Its speed rose rapidly, allowing the bomb to plunge some 100 feet into the ground before the seven tons of HE (high explosive) filling were detonated. The effect of the explosion was not to blow a hole in the ground but rather to cause large earth tremors that would cause structures in the vicinity to fall down. The test aircraft, PB529/G, was ready on 1st February 1945 for trials. The first, and fully successful, live drop was made on 13th March at the Ashley Walk bomb range. The squadron earmarked for service use of the monstrous new bomb was the famous No 617 at Woodhall Spa. Only one day after the first test, the squadron set out to attack the Bielefeld viaduct carrying the Hanover-Hamm railway. While 14 Lancasters carried 'Tallboys', Squadron-Leader C. C. Calder's PD112 carried a 'Grand Slam'. This landed within 30 yards of the viaduct and almost certainly knocked down some 100 yards of it. Only another 40 'Grand Slam' bombs were dropped in the war, all by No 617 Squadron, but these caused some very considerable damage to major targets relatively immune from conventional bombing. Among these were the Arnsberg Bridge, Arbergen Bridge (near Bremen), Nienburg Bridge (Bremen), Farge U-boat pens, and the Heligoland forts. No 617 was then earmarked for 'Grand Slam' targets in Japan but the war ended before they were due to leave England. The Lancaster had to be lightened and modified in order to carry this bomb. The Avro Lancaster heavy bomber was a hybrid put together in late 1940 from the combination of the airframe of the unsatisfactory Avro Manchester and the Rolls Royce Merlin engine. The Manchester-Merlin marriage was felicitous, for the offspring became the RAF's best 'bomber with weight-carrying and endurance qualities that were outstanding. Lancaster Is went into production in October 1941, and were powered by 1,280 hp Merlin engines; they carried a crew of seven, were 69 ft 4 ins long and 19 ft 7 ins high. Their maximum speed was 287mph, operational ceiling 22,000 ft, range 1,730 miles, maximum take-off weight 68,000 lbs, and bomb load up to 22,000 lbs. Armament consisted of ten .303 inch Browning machine guns in nose, dorsal and tail turrets. Later Lancasters had the dorsal turret removed to save weight, and some aircraft used in 'special' squadrons had the nose turret removed also. The Lancaster IIs featured the more powerful 1,650 hp Bristol Hercules VI or XVI radial engine, adopted due to a shortage of Merlins. The Lancaster III had the Packard-built Merlin engine but was externally similar to the Mk I. From the first, Lancasters revealed phenomenal strength, versatility and stamina. They were known to return from operations so mauled and shot up by flak that a lesser plane would never have survived, and they possessed remarkable agility for their size. Even a fully laden Lancaster could dive, loop, roll and corkscrew to evade attacking fighters, yet still withstand the aerodynamic stresses imposed by such energetic evasions. Naturally, an aircraft of such great flying and fighting qualities was, for the RAF, a firm backbone on which to lay the major part of the British bomber offensive. The Lancaster's total tonnage of bombs dropped on Europe -more than 600,000 tons - comprised two thirds of Bomber Command's total tonnage dropped between 1942 and 1945,. The Lancaster's most frequent hunting ground was the heavy industrial target, but it also engaged in submarine attacks and several special, tricky tasks. Among these were the Thousand Bomber raids of 1942, and the famous Dams Raid of 1943.